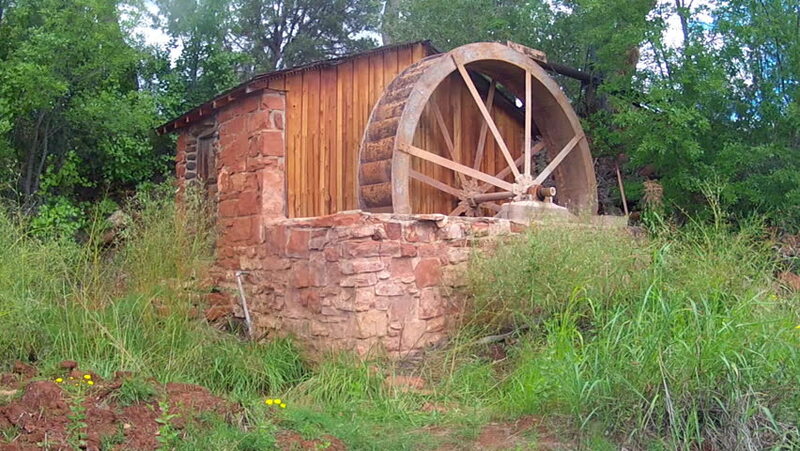 SEDONA, AZ: September 11, 2014- Old fashioned water wheel and wooden shed circa 2014 in Sedona. A water wheel house stands in testament to early endeavors to create alternative sources of energy. hd00:17Fort Buchanan former jungle bunkers - World War II ammunition, explosive, bombs, rockets, missiles, jungle storage bunker. Today a public government park.